Efforts to dismantle net neutrality will likely affect enterprises and the way they do business, from how mobile apps are designed to where companies choose to store data commonly accessed on mobile devices. 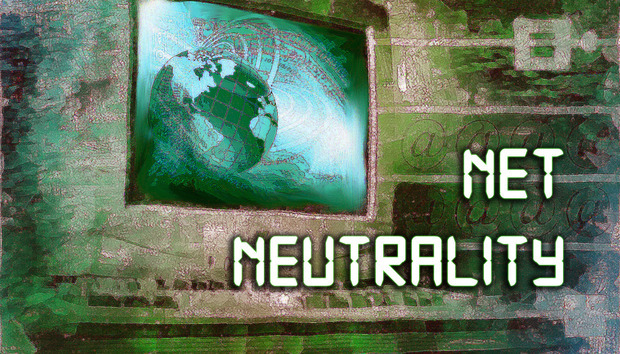 The Federal Communications Commission (FCC) intends to vote this Thursday to repeal net neutrality rules the Obama administration implemented to ensure internet service providers (ISPs) treat all data the same. In the past, ISPs such as Comcast secretly slowed throughput, a practice known as "throttling," for certain peer-to-peer file sharing applications; others were accused of slowing video-streaming services. The concern among Democrats, industry advocacy groups and some business executives who oppose the changes, is that once net neutrality rules are dismantled, ISPs will begin showing preferential treatment to some streaming services or charge extra for "fast lane" Internet access. Net neutrality advocates, including the City of New York, have urged the FCC to stall their vote until the 9th Circuit Court of Appeals can rule on whether broadband services are a "critical telecommunications service" deserving special protections or simply a mere "information service." The FCC, however, said in a statement last week that the vote will proceed as scheduled on Dec. 14. If net neutrality rules are indeed dismantled, enterprise applications – including frequently accessed cloud-based mobile apps – may be slowed just as a video streaming service like Netflix could be, according to Jack Gold, principal analyst for J.Gold Associates, LLC. "Imagine if you're a company and all your apps are in the cloud and hosted by a company that isn't part of the fast lane because they don't want to pay extra. In that case, there could be a slow response to enterprise apps. May not be a big difference if it's just a small delay, but who knows how long it will be?" Gold said. Once net neutrality is gone, companies should take the time to ask their cloud hosting services whether they are being affected by throttling and what their policies will be for attaining a fast lane, Gold said. There is also the potential for the rules change to affect corporations that internally host applications, Gold said, as frequently accessed apps, such as those for enterprise mobility, go out over the internet for access. "At this point, I think we just don't know. I hope the carriers would do the right thing, but...," Gold said. Forrester analyst Sophia Vargas, who focuses on infrastructure and operations professionals, said enterprises will likely face a pay-for-play model for Internet data traffic rather than simple bandwidth-driven pricing. Two pricing models are likely to be affected by the end of net neutrality rules: wired and wireless services, which could create competition between the two, Vargas said. And, since there are fewer ISP monopolies for wired services, wireless services will likely be hit the hardest. "The biggest difference between them is [that] wireless services are priced per data and land line services are priced per bandwidth...," she said. "There's more competitiveness happening in the ability for enterprises to essentially own or get more dedicated [wired] circuits for themselves to guarantee the quality of service on the backend," Vargas continued. "So, I think there will have to be some negotiation that has to happen more at the mobile level than the wired level." Enterprises will also likely have to reconsider how they build out mobile apps, designing them to be less data intensive and moving to host them closer to the businesses that use them the most – or even caching them locally to avoid higher WAN charges. And apps that serve external customers with data-consuming images and video might need to be rethought in terms of how they're served to the individual user. "Is it pinging the network every time or does it push down packages of information in larger or smaller chunks," she said. "Mobile apps are getting better at that kind of design, but it's all based on performance for the end user." There are ways to balance how images or video streams are pushed to a mobile device in terms of file sizes. But what comes along with it, how it is rendered, and how much is stream-loaded so a user can keep browsing before a device must ping the network again have all been optimized on the assumption that it's not subject to a pay-for-play scheme. Content delivery network (CDN) providers, too, will likely have to rethink how they optimize traffic for enterprise customers. "Cost has never been a consideration up to this point," Vargas said. "There is an entire ecosystem of [WAN optimization and performance management] providers designed specifically for performance management for mobile and data center connectivity and all those models are going to break because they're built under the assumption that all traffic is created equally. "They'll have to change the way they choose to optimize an individual workload or architecture because the design paradigm has changed," she added.